Lamborghini Squadra Corse has lifted the lid on its first Super SUV for racing, the Urus ST-X concept. The vision is for the car to star in a single-brand championship starting in 2020, combining off-road track and race circuit driving. 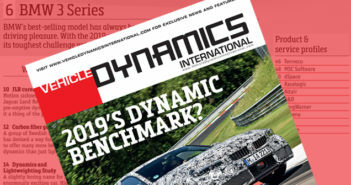 The format will debut in Europe and the Middle East on specially prepared FIA-approved circuits, with an ‘arrive and drive’ formula designed to offer driver-customers a complete package including car and technical support during the race weekends. The Urus ST-X concept applies Lamborghini Squadra Corsa’s motorsport experience to a brand-new segment. Compared to the production model, the Urus ST-X concept has been mechanically optimized and equipped with all the FIA-approved safety elements, including steel roll cage, fire suppression system and FT3 fuel tank. Aesthetically, the concept is characterized by the matt Verde Mantis (green) livery in addition to the hood in visible carbon fiber. Larger air intakes optimize the cooling of the V8 twin-turbo engine that is capable of delivering 650CV and 850Nm of torque. The overall look is completed by the rear wing, the lateral racing exhausts with a new hexagonal design, and 21in (53.3cm) single-nut aluminum alloy wheels fitted with Pirelli tires. The development of the racing configuration has also led to a 25% weight reduction compared with the production model. 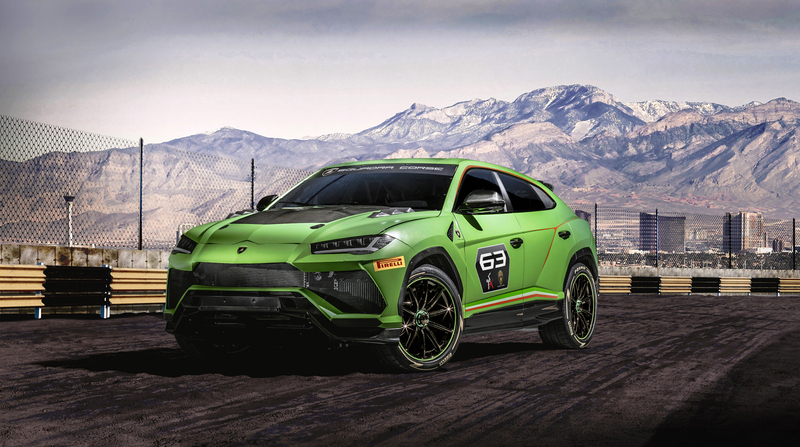 Lamborghini says the light weight, along with the raised set-up and torsional stiffening provided by a roll cage integrated in the frame, contribute to making the Urus ST-X concept a race car for track and off-road use without compromise. It will make its track debut during the 2019 Lamborghini World Finals.